How do you delete a Row in Blocs? when you do not like the program? I wish it was that simple. Maybe there is a qlitch in the newest version. 08/15 Users would be quieter. Look at the pages, made with … ?! This might be due to you. 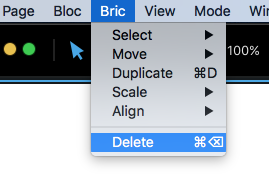 @KBConcepts right click in the white area of the brick and choose delete. You are the God of the righteous. Nice screenshot, by the way. And that was really his concern? Cool explanation… love the image. The problem is when I click on the area it say “row”, not brick. 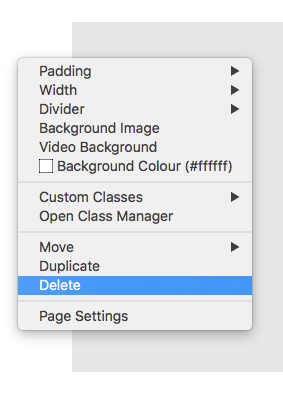 You click where … right down? You do not click anywhere … you want confusion. On your screenshot, there is no brick, just a placeholder for the bric. If you look at the bottom left corner, you will see what you have got. I assume in this case it will be Bloc and Row. You can select any of the elements in the bottom left corner and click “CMD+Backspace”, like @Jakerlund suggested.